This stone is situated to the west of the entrance to the Thornhill Park & Ride, and is one of Oxford’s newest boundary stones. It marks the extension of Oxford’s administrative boundaries to the east in 1991. An inscription on the back shows that it was sponsored by the firm of Nielsen’s, which was then nearby at Nielsen House but moved to the Oxford Business Park in 2018. 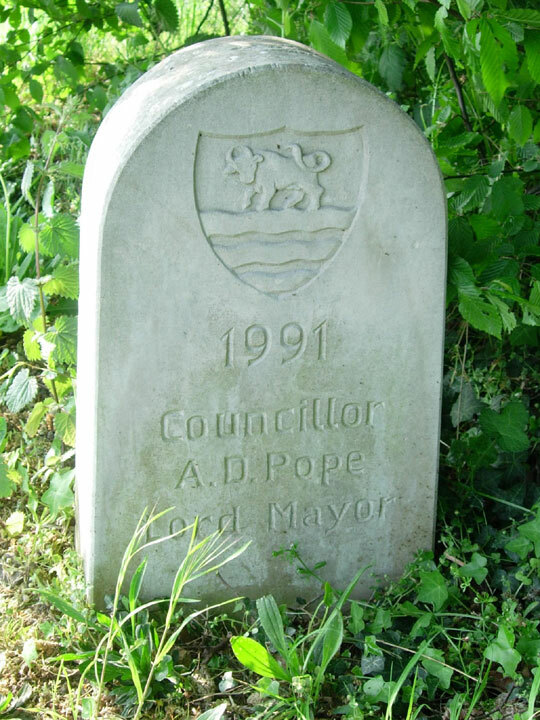 Alan Pope was Lord Mayor of Oxford in 1991/2.